The state, in its plea, had said, Vide impugned orders of Jammu & Srinagar Benches of the Jammu & Kashmir High Court... have passed two mutually conflicting orders which have grave ramifications for the law and order situation in the State of Jammu and Kashmir as orders are being misused and interpreted in a manner so as to disturb peaceful fabric of the State. It had said that the apex court should ensure there is uniformity and consistency in judicial pronouncements and no scope to exploit the present situation by disrupting communal harmony, amity and peace in the state and thereto alienating people of the State from national mainstream. 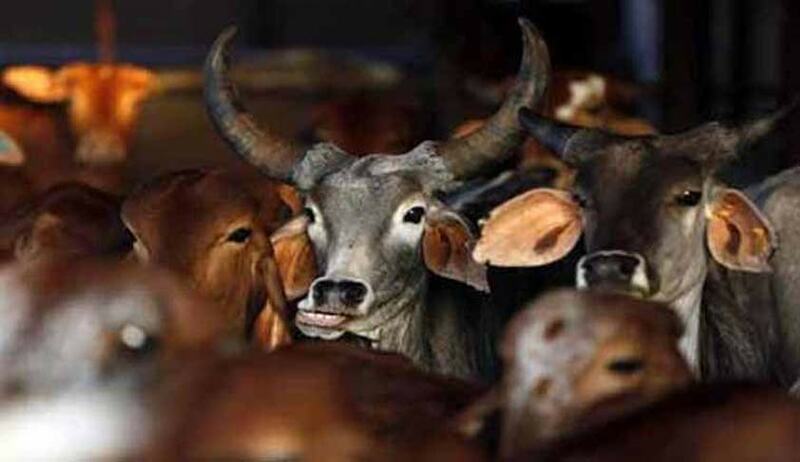 In its order, the Jammu bench had said, The Director General of Police is directed to ensure that appropriate directions are issued to all the SSPs/SPs, SHOs of various police districts so that there is no sale of beef anywhere in the State of J&K and strict action is taken in accordance with the law against those who indulge in it. On the other hand, the Srinagar bench, on September 16, issued notice on a plea that had sought striking down of the RPC provision banning slaughter of bovine animals. It was alleged in the plea before the Srinagar bench that the RPC provision was ultra-vires as the bar constituted an unreasonable infringement on fundamental rights of citizens. The Srinagar bench had also said that the pendency of the plea before it will not operate as a bar if the state wants to do away with the provision. ...We would like to make it clear that if the State or Legislature contemplates or takes steps for scrapping or amending the provisions as are under challenge, the pendency of this writ petition shall not operate as a bar, it had said.